The bed was very comfortable and the host made it very simple for me to check in and out. They also had the amenities that I needed for my stay. The staff/host was accomodative and readily available. the size of the apartment, the equipment,the cleanliness, the value for the money. Location was good on the outskirts of the main town with access to shops and places to eat etc. and only a short walk to the rest of the town. the host was very nice and friendly. The apartment is clean and nicely decorated. There is a little kitchen aswell. Nice for the morning breakfast. The bed is very comfortable and clean. Privacy and floor plan of the apartment. Very close to stores. 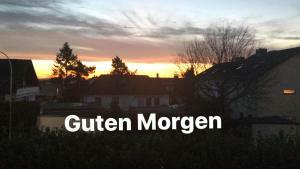 Gute Lage - da ein kleiner Bäcker zum Frühstücken gleich um der Ecke ist. Der Rewe ist zu Fuss auch gut erreichbar. 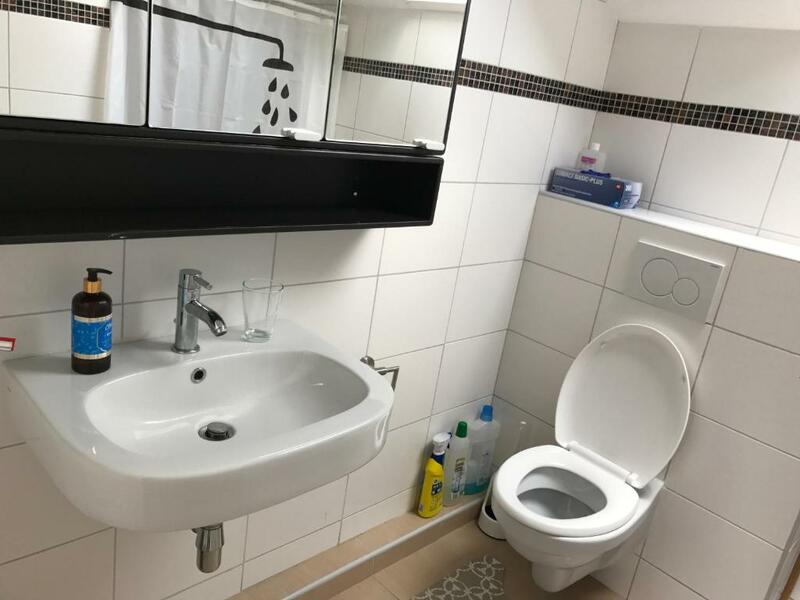 Nettes Apartment, man kann es sich gemütlich machen. Es ist sonst alles da was man braucht. Gute Anbindung an die Autobahn. Unkomplizierte Schlüßelabgabe! Es handelt sich um ein einfaches Appartment, dass aber voll okay ist. Es gibt Mikrowelle, Kaffeemaschine, 2 Herdplatten, Geschirr, etc. Als Tipp hätte ich lediglich, dass man das Appartment beheizt und nicht kalt übergibt. Meine Bewertung zeigt das Preis/Leistungsverhältnis. Ich würde es wieder mieten. 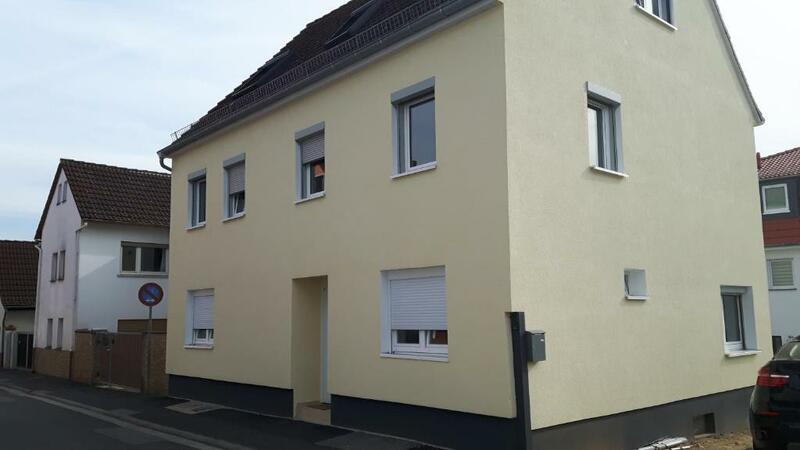 Offering free WiFi and mountain views, Ferienwohnung in Friedrichdorf is a property located in Friedrichsdorf. The property has garden views and is 16 miles from Frankfurt. The vacation home is composed of 2 bedrooms, a fully equipped kitchen, and 1 bathroom. A flat-screen TV and DVD player are featured. Bad Homburg vor der Höhe is 5 miles from the vacation home, while Offenbach is 19 miles from the property. Frankfurt Airport is 21 miles away. 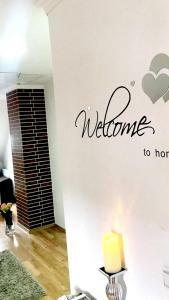 When would you like to stay at Ferienwohnung in Friedrichdorf? This holiday home has a stovetop, electric kettle and oven. Es gibt vor Ort viele Restaurants mit vielfältige Küche, unter anderem Italienisch, Grischich, Persisch, Türkisch,.... Außerdem gibt es auch Kino, Apotheke, Ärzte, usw... vor Ort Als Einkaufmöglichkeit gibt es Supermärkte, wie zum Beispiel Rewe, Penny , Lidl und ALDI. Auch das Tanken leicht gemacht, da es vor Ort viel Tankstellen gibt. Eine gute möglichkeit zum Schoppen wäre die Zeil in Frankfurt a.M. Sie erreichen die Zeil in 20 min. mit dem Auto. Für die kleine Shopping tour bietet Ihnen das Taunus Care in Friedrichdorf eine weitere möglichkeit an. Für die übrig gebliebene Zeit bittet das Lochmühle Freizeitpark viele Attraktionen an. Sie können den Park in 5 Minuten mit dem Auto erreichen. Außerdem das Haligali Halle bittet für die Kinder auch an zahlreichen Spaß und Aktivitäteten. House Rules Ferienwohnung in Friedrichdorf takes special requests – add in the next step! 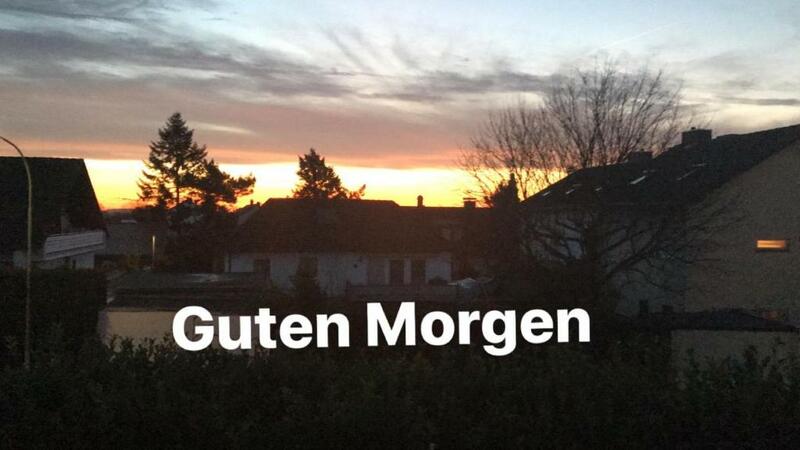 Please inform Ferienwohnung in Friedrichdorf of your expected arrival time in advance. You can use the Special Requests box when booking, or contact the property directly using the contact details in your confirmation. Although it was supposed to be suitable for four people, having a double bedroom, a twin bedroom and a sofa bed in the sitting room the latter was in fact a hallway, which made it difficult for anyone to sleep in it. It is a comfortable and suitable apartment for a family but less suitable for four unrelated people as we were. One ended up sleeping in the kitchen. I wish it was a bit closer to the downtown area of Frankfurt but overall it was worth the value I paid for. Wasn't for me but could be a problem for someone with mobility issues. The apartment is on the 3rd floor.